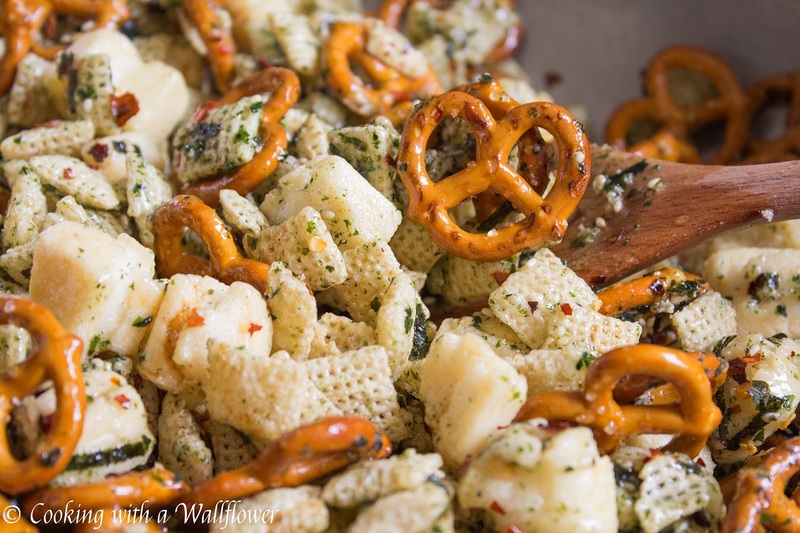 Chex cereal, pretzels, and crispy mochi nuggets tossed in a sweet and savory furikake seasoning and crushed red peppers. 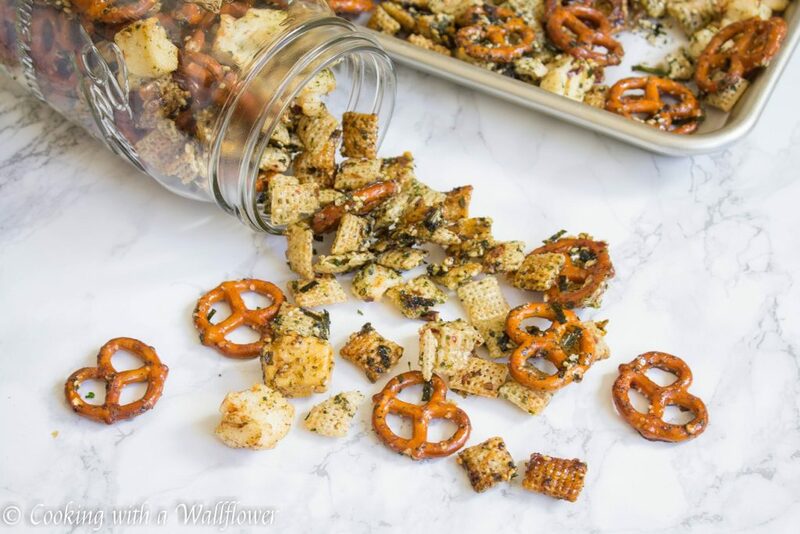 This spicy furikake chex mix is the perfect snack. But let’s talk about this spicy furikake chex mix. 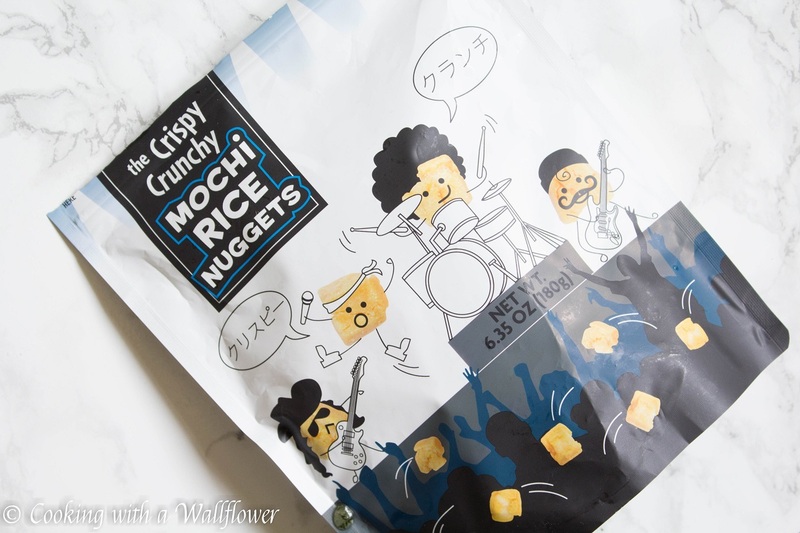 I seriously wish that all snacks have the furikake seasoning flavor. It’s sweet and savory and so flavorful. Popcorn with furikake seasoning? Yes, please. 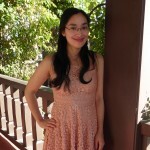 Rice crackers with furikake seasoning? Yes! White rice with furikake seasoning? Any day. So finally, I decided that I wanted to try to make my own furikake chex mix. That way I can have my favorite snack any time I want. 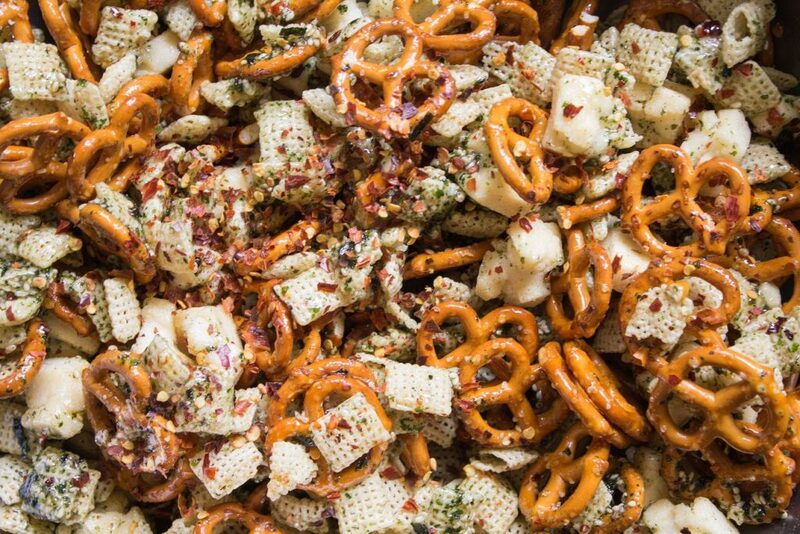 My sisters and I are obsessed with this snack mix. So simple to make, so flavorful, and you can pack them into mason jars to share with friends and coworkers. It actually didn’t quite make it to the people they were supposed to be for. We were too busy eating it. 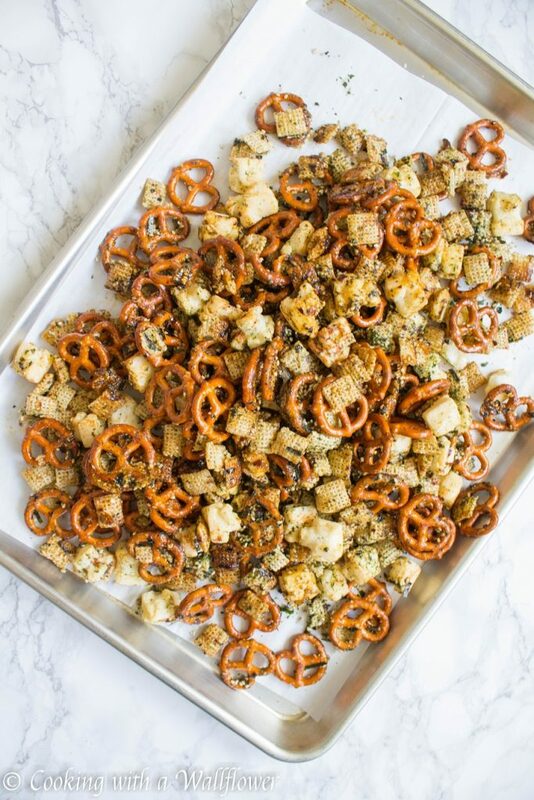 This mixture is as simple as possible with just Chex rice cereal, mini pretzels, and mochi bites from Trader Joe’s. But if you’re looking for more ideas, my friends tell me that they’re amazing with Bugles, wasabi peas, and gold fishes too. So the possibility is endless. Melt the butter and granulated sugar in a small pot over low heat. Once the sugar has melted, remove from heat and mix in vegetable oil, corn syrup, and soy sauce until well incorporated. 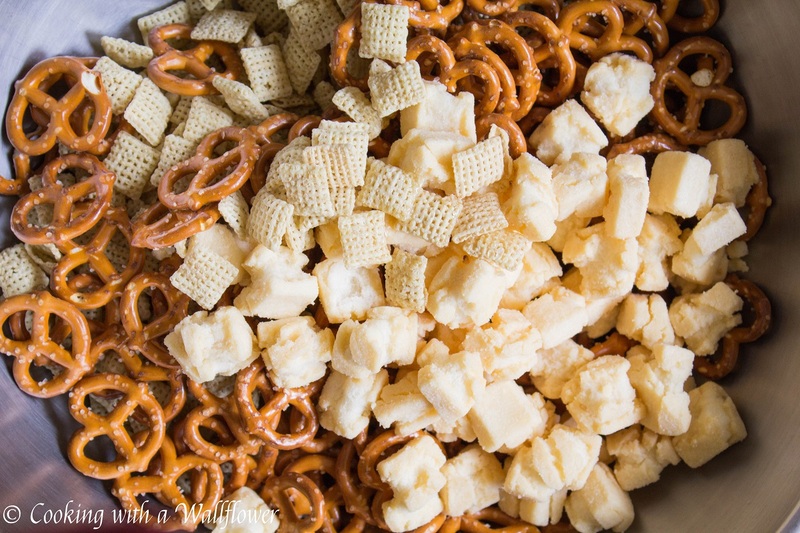 Place Chex cereal, mini pretzels, and mochi bites into a large mixing bowl. Pour the butter mixture over the cereal mixture and tossed until well coated. Pour the whole bottle of furikake seasoning into the mixing bowl then add crushed red peppers. Toss until all the cereal is covered in the seasoning. Divide cereal mixture onto the baking sheets. Bake the snack mix for about an hour or until the cereal is dry. Remove the Chex mix from the oven every 15 minutes and toss to prevent the cereal from browning too quickly or becoming burnt. Ovens sometimes have hot spots. 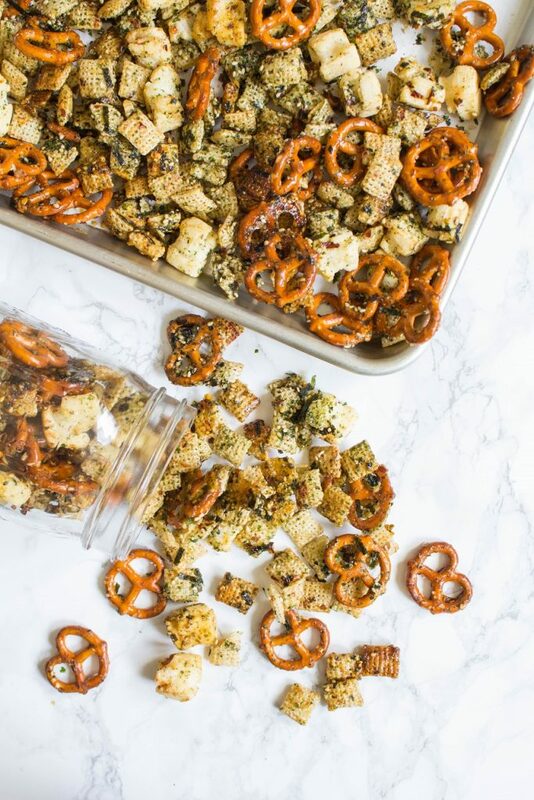 Let the furikake chex mix cool before placing them into airtight containers. 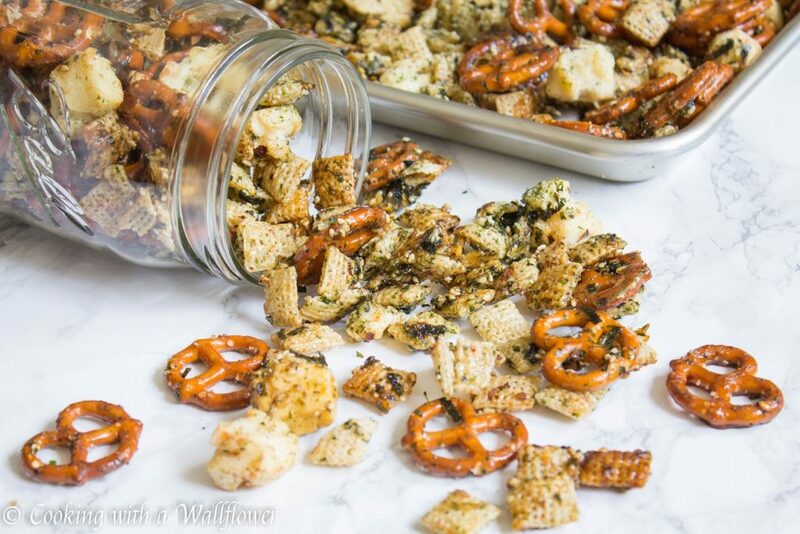 Serve the furikake chex mix as a snack or you can give them as gifts. Chex cereal, pretzels, and mochi tossed in a sweet and savory furikake seasoning and crushed red pepper. 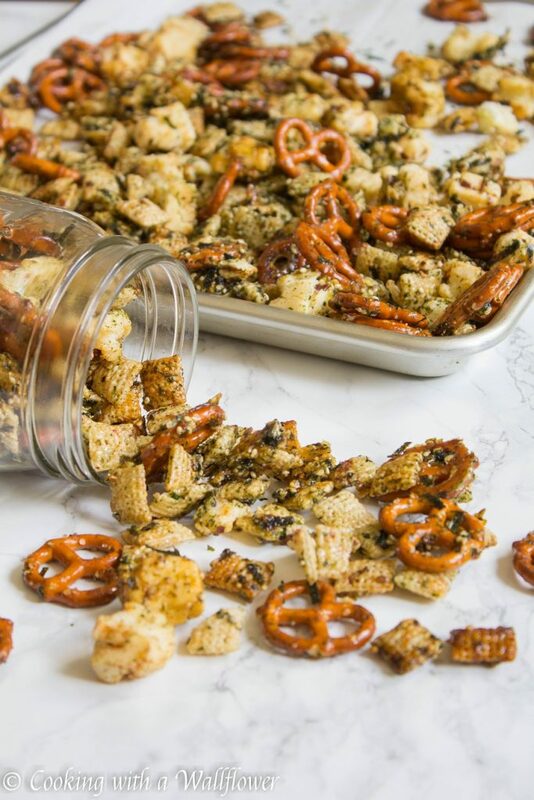 This spicy furikake chex mix is the perfect snack. 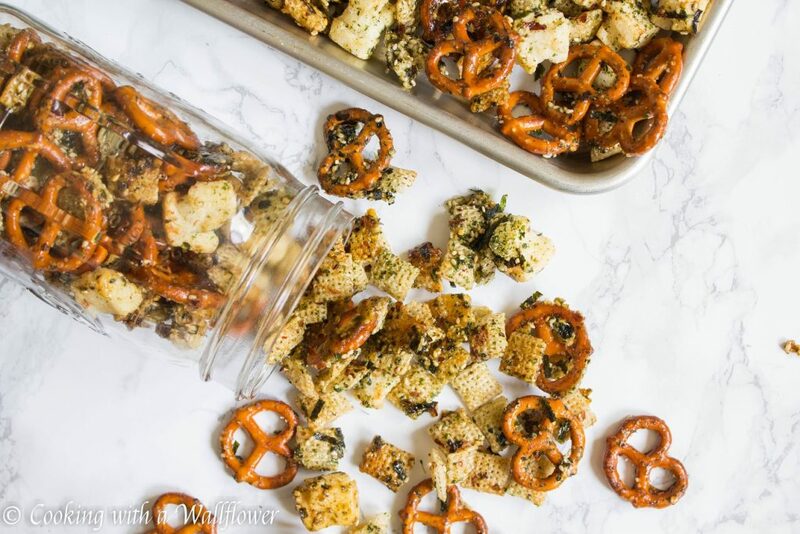 Serve the spicy furikake chex mix as a snack or you can give them as gifts. 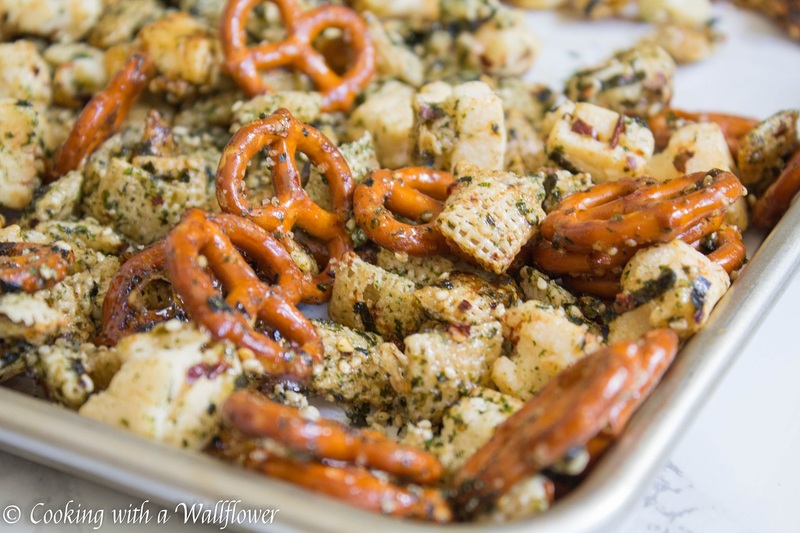 This entry was posted in Quick and Easy, Recipes, Snacks, Vegetarian and tagged furikake snack mix, quick and easy, snack, snack mix, vegetarian.